The equipment is briefly subjected to sections of the relevant test program so that any design problems may show up. Our EMC Engineers have years of experience working with customer products and unlike many other labs, we do not charge consultancy fees for helping you find the information and design ideas that help your product pass the relevant standard. 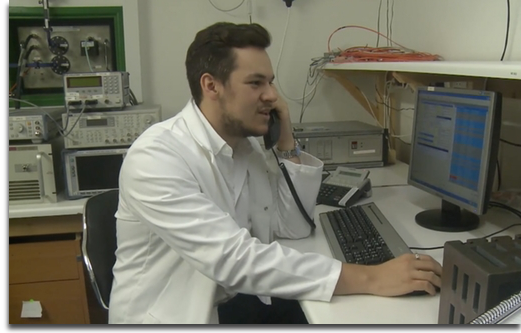 Our dedicated EMC Laboratory is booked out in half day slots and the EMC Engineers are in place to help you whilst you are with us, whether that be with direct testing or to aid in improving EMC properties of your equipment. ETC has years of experience helping product designers and developers bring their product to market through a robust and thorough understanding of requirements for EMC Testing. Considering EMC problems from the earliest stages of the design process can reduce unnecessary expenditure of time and money, getting your product to market and avoiding any late stage failures in EMC Testing, which can cause significant delays to the manufacturing process.